ROYAUME UNI – Bodmin Moor - A Bronze Age crystal pavement described as "unique" by archaeologists is to be uncovered for the first time since the 1930s. 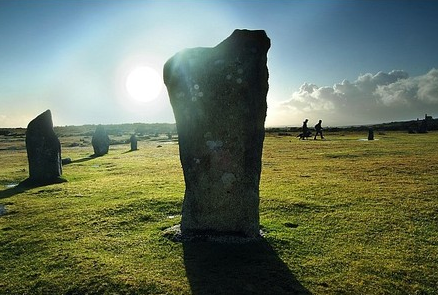 The monument, at the Hurlers stone circle on Bodmin Moor, is believed to be the only one of its kind in the British Isles. 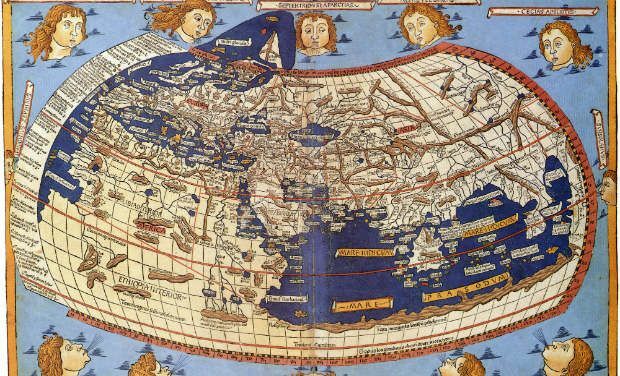 Scientists and historians hope that by studying it they will gain a better understanding of early civilisations. 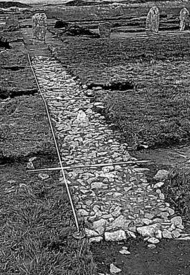 The only time the 4,000-year-old causeway is thought to have been uncovered since it was originally laid took place 75 years ago, when workmen stabilised the site and re-erected a number of stones. The existence of the quartz pavement only came to light again when Cornwall archaeologist Jacky Nowakowski was undertaking unrelated research at an English Heritage store in Gloucestershire. As she looked through files, Jacky came across an unpublished report and photographs from the Ministry of Works' excavation of the Hurlers in 1938. "I couldn't believe it," she said. "I'd certainly not seen anything like it before. A feature such as this, which suggests a possible linking of the circles, is very unusual. The pavement is nationally unique as far as I know." Internationally renowned for its line of three impressive stone circles, the Hurlers' original use has long been the subject of speculation and argument. Some believe its alignment mirrors the celestial bodies that make up Orion's Belt, while others claim it was used for religious purposes. Whatever the truth, there is no doubt that it was of major importance to the people who inhabited the moor 4,000 years ago. USA - Greensboro - Even the tiniest objects, seen in the proper context, can tell you a lot. In an exhibit opening today at Guilford Courthouse National Military Park, Catawba Indian artifacts indicate the existence of trade between Indians and post-Revolutionary War villagers. A piece of pottery, made in England but reflecting Chinese design, shows how globalized the world was, even in the 18th century. The corner of a fine-toothed lice comb shows us some of the challenges of everyday life in that era that remain today. The global economy, everyday life and commerce in the years between 1780 and 1830 are some of the themes being explored in the exhibit of artifacts unearthed in the 2011 Archaeological Field School at the park. Architecture and landscape features discovered during the dig are as intriguing as the artifacts. A stone wall may be one of the best new clues to the possible location of Guilford Courthouse, which has long been the holy grail of archaeological work at the site. Nearby, there’s a large, nearly square area identified by remote sensing that appears to be the ruins of something significant. According to historical records, the courthouse was built in 1775 on a hill near the Great Salisbury Wagon Road. The dig yielded nearly 9,000 artifacts. Military artifacts include a musket ball with a carving on it. Some other musket balls are misshapen, indicating perhaps that they were fired during battle and hit something. Bridle parts, horseshoes, a ramrod holder from a musket, and a jaw harp also were found. The presence of canister shot helps indicate the direction of the battle. Another dark spot on the remote sensor turned out to be a brick hearth and midden — a trash pile where they found many household artifacts, such as pottery shards and bones. The large number of domestic artifacts found most likely means it was the site of Martinville, a village constructed by former North Carolina Gov. Alexander Martin. INDE – Khammam - A team of Archaeology Department officials conducted a survey at the megalithic site situated on the campus of SR&BGNR Government Degree & PG College on Friday to explore the possibility of setting up an archaeological museum to showcase the antiquities and archaeological wealth. The sprawling campus of the college consists of over 20 megaliths scattered randomly all over the complex. Several of the megaliths were in a damaged condition. A wide range of historical objects of immense archaeological significance including various kinds of pottery, iron objects and skeletal remains were discovered from the megalithic site on the campus during an excavation last year.